The speech of her life: ‘Who I am, what I am, what I believe in, and what I hope for, all started with the Holocaust,’ Justice Rosalie Abella tells delegates in her closing address to the 70th-anniversary Nuremberg symposium in Krakow. She was born in a refugee camp in Stuttgart, just over two hours from Nuremberg, where Nazi war criminals were being brought to justice. And now, 70 years later, Justice Rosalie Abella of the Supreme Court of Canada has come back to the place where her father began his own legal career – Jagiellonian University in Krakow – to give a keynote address on the Nuremberg trials, which brought to light the magnitude of what the Nazis did. And she has not slept all night. This will be the speech of her life. In the audience, many have been marked by similar horrors. The Chief Justice of Rwanda, Sam Rugege. Lord Dyson, the second highest-ranking judge in England. Robert Badinter, a former minister of justice of France. Justice Abella's father, Jacob Silberman, told her when she was young that Jagiellonian's law school had a numerus clausus – a Jewish quota, or limit – and that he was one of just a handful of Jews accepted into the program in 1930. He also told her its classrooms had segregated seating, known as the bench ghetto, but that he stood, stubbornly, for most of his first year, rather than submit to being set apart. "He never got to practise law in Poland," she tells the 80 people at the one-day symposium on Nuremberg. "He and my mother spent three years in concentration camps. Their two-year-old son and my father's parents and three younger brothers died at Treblinka." When she mentions the brother she never met, her voice breaks. Yet, she says, her parents went ahead and had two more children after the war, "in an act that seems to me to be almost incomprehensible in its breathtaking optimism." Justice Abella's life, and her father's, are coming full circle. A bookshop owner's son, he dreamed of being a lawyer. She set out to fulfill his lost dream. And now she has come to Poland, to connect with her family's past. "My justice journey – in fact, my life's journey – started with the injustices revealed at Nuremberg." Justice Abella is a five-foot, two-inch whirlwind of curiosity about life. She is in Warsaw – her speech is two days away – sitting in an archives room in Polin, the Museum of the History of Polish Jews. Her husband, wearing a dark suit and sporting a trim beard, sits beside her. Irving Abella, whom she calls Itchie, is a professor emeritus of history at York University. "I want to know everything I can about them," she tells Aleksandra Sajdak, an enthusiastic young Polish researcher, who sits across from her, poised to search a computer database. "What their life was like – the texture." Justice Abella wants to know how her impoverished father got into Jagiellonian, where he lived as a student, whether his high-school records still exist, what happened to the roofing-materials factory owned by her mother's family. The zeal for law ran deep in her father's family. 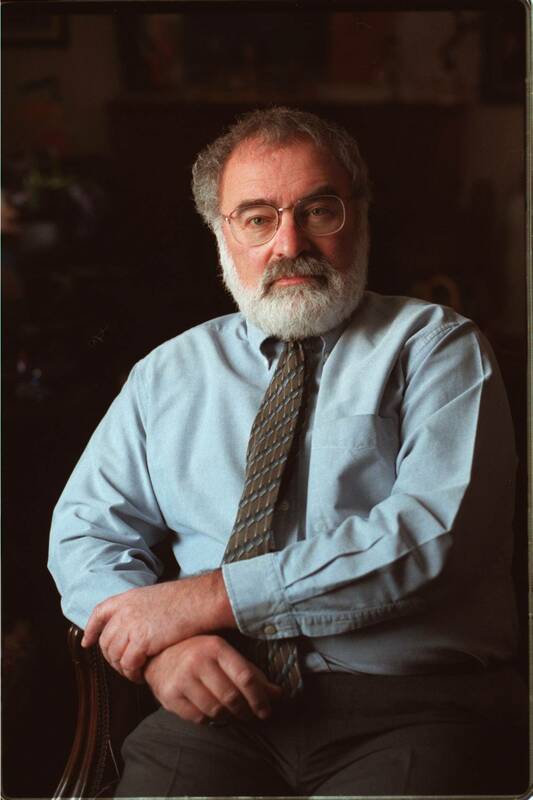 His father and grandfather had both acted informally as lawyers in their village community, for Jews and gentiles, solving disputes between neighbours, dealing with the authorities. Her father, who was slim and clean-shaven, and wore round, tortoiseshell glasses, was the first to receive formal training. Even at a time of rising anti-Semitism, he made a deep impression. In July, 1939, after eight years of training (four of academic study, two articling with an experienced lawyer, and two clerking for an appeals-court judge), he received a letter from the president of Poland's Court of Appeals accepting him for examinations to become a judge. The exams were to start in October. On Sept. 1, Germany invaded Poland. Two days later, in front of family, Mr. Silberman married Fanny Krongold, the daughter of a factory owner, and the next year, Fanny gave birth to a son, Julius. Not allowed to practise law, Mr. Silberman helped to run his in-laws' factory in Ostrowiec, in south-central Poland, until the Nazis sent him and his wife to separate work camps in 1942. Justice Abella tells Ms. Sajdak what befell Julius. His parents trusted his safekeeping with a Polish woman who had worked at the factory for 40 years. But the woman panicked and brought the little boy to his grandparents – Justice Abella's father's parents – just as the Nazis were rounding up the Jews of Sienno, the village about 200 kilometres north of Krakow where they lived. In her only other trip to Poland, in 1993, Justice Abella met the sister of her father's best friend – a Pole – who witnessed what happened next. "All the Jews had to put their furniture out on the street. She said she saw my mother hugging my father's father out on the street. Both were crying. Then, later that afternoon, she saw a German shoot my grandfather." The little boy, his grandmother and an uncle were deported to Treblinka, the infamous death camp near Warsaw. 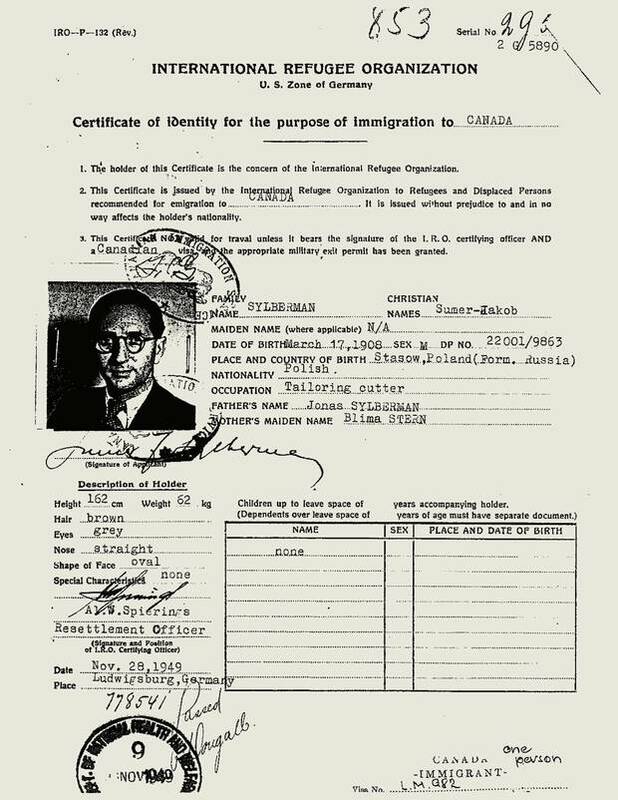 But Jacob Silberman survived the war and, with Fanny and her mother, took shelter in a refugee camp in Stuttgart; Poland was not safe for Jews, even with the Nazis gone. Once settled, he sought out a German occupation official, now back in Germany, who had been decent to Fanny's family, and brought him to Allied officials to make sure the man would not be charged with war crimes. "After everything they'd lost," Justice Abella tells Ms. Sajdak, "it was almost heroic to me that they would do something like that at the beginning of their new life." Ms. Sajdak quickly finds two addresses where Jacob lived in Krakow. Then she finds a current photo online of one of the homes – a handsome, though sombre, low-rise apartment building. Unlike those in Warsaw, most of Krakow's buildings survived the Second World War. But Ms. Sajdak will have to ask other archival researchers for help with Justice Abella's other questions. The esteem in which others held Jacob Silberman is obvious. The United States, which ran the camp in Stuttgart, hired him to provide legal services to refugees. And when former First Lady and human-rights champion Eleanor Roosevelt visited the camp, he gave the official welcome. "We are not in a position of showing you many assets," he told her. "The best we are able to produce are these few children. They alone are our fortune and our sole hope for the future." In 1946 – on Canada's birthday, July 1 – Fanny gave birth to Rosalie. Two years later, another daughter, Toni, arrived. When Mr. Silberman applied to emigrate to Canada, Canadian authorities said the country did not need European-trained lawyers. Canada had largely closed its borders to Jews in the period of their greatest need, 1933 to 1945, and the borders remained so until 1948, when a trickle of tailors was allowed in. It was Justice Abella's husband who first documented Canada's rejection of Jewish refugees, as co-author of None is Too Many: Canada and the Jews of Europe 1933-48. Her father struggled to find a way in. The International Refugee Organization certified him as a shepherd, second class, with experience in sheep breeding. "I don't think he'd ever seen a sheep in his life, had he?" her husband asks. "For sure not," she responds. Finally, in 1950, Canada gave Mr. Silberman permission to emigrate – as a tailoring cutter. 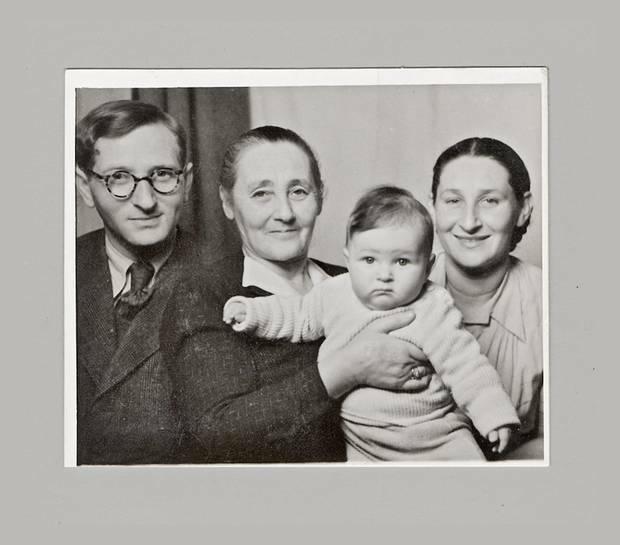 Rosalie Abella as a baby in the Stuttgart camp for displaced persons: Holding her is Zysla Krongold, her maternal grandmother, with the two flanked by her parents, Jack and Fanny Silberman, whose first-born, two-year-old son Julius, had been among the family members lost to the Holocaust. When Rosalie was born, Fanny did not want to take her home from the hospital – she'd wanted another boy. Julius had been a smart two-year-old. He already spoke two languages. "They raised me like a boy," Justice Abella says. "Maybe that's why I had no inhibitions." Montreal author Helen Epstein has written about how survivors passed the trauma of the Holocaust on to the next generation. But Justice Abella recalls her family as happy and optimistic. Her father did not lament his lost legal career. He walked into an office at the corner of Queen and Spadina near where they lived in Toronto, introduced himself, and asked for a job. Thus he became an insurance agent. And when Rosalie asked questions, her parents answered, without anguish or bitterness. "They were very open. They talked about it freely. Whenever I asked – and I asked a lot. Things like 'How did you wash your hair' – I couldn't picture it. It was girl stuff, too. 'How did you sleep at night, it was so cold?' I knew a lot of things, because they weren't people who hid or were too embarrassed or too ashamed or too angry." The family expected her always to achieve firsts – as if she bore the weight of her past. "I wanted to be the person they saw me as." Her mother told her often of her father's brilliance, and required her to read three library books a week. She took those expectations to heart; already in Grade 3 she was asking for extra homework. At age 11, she played Mozart on the piano (with nine-year-old Toni on a second piano) on early television's The Ken Soble Amateur Hour. While at Bathurst Heights Secondary School, she made a local newspaper after scoring 11 first-class honours (she'd taken two extra courses on top of the nine required). She has lived expansively. At 19, she chased her 26-year-old future husband, who was travelling with a friend, to Europe and Turkey, catching up with him finally in Israel. At just 29, she was appointed a family-court judge. She came to national prominence before her 40th birthday, when Liberal cabinet minister Lloyd Axworthy asked her to head a national commission on employment and minorities. After coining the term "employment equity," she was attacked by critics coast to coast, but had the last laugh when a Progressive Conservative prime minister, Brian Mulroney, implemented many of her recommendations in the federally regulated work force (at such institutions as banks, Crown corporations and communications companies). The system she recommended is still in place today. But there were no "quotas" in her recommendations – not after her father and others like him had faced quotas. In any event, quotas have a way of becoming a ceiling, she felt. In 1984, Justice Rosalie Abella delivered the federal report on equal employment that brought her to national prominence before her 40th birthday. She has had a life far beyond the bench. In 1988, she was moderator of the English-language federal leaders' debate, and in 2003 was a judge for the Giller Prize for fiction. She rarely seems to stop moving. On her first day in Poland, she sits down with the Chief Justice of the Constitutional Court. Poland is in the midst of a constitutional crisis; President Andrzej Duda's government is insisting on a two-thirds majority if the court wishes to rule a law unconstitutional. (Canada's, like most, needs only a simple majority.) After Poland, she is headed to London to address Canadian lawyers and judges at Canada House. Thus she seems to know everyone – and everyone seems to know "Rosie." "Her provenance is one of tragedy and sadness," says Ian Holloway, dean of law at the University of Calgary. "Yet she's become the embodiment of happiness and optimism." "I never saw sadness in my house; I never heard sadness," she says. "I heard how lucky we were." The Jewish museum in Warsaw is an entry point to the lost world that produced her. It is a beautifully understated, glass structure designed by Finnish architect Rainer Mahlamäki, winner of an international design competition. Three years ago, on the 70th anniversary of the Warsaw Ghetto Uprising, it opened on ghetto ground. The Abellas' guide is the museum's chief curator, Barbara Kirshenblatt-Gimblett, who is from Toronto. A friend of Irving in the 1950s, she is an elfin, gray-haired presence with a youthful voice. "To create a glass building on a site of genocide, which is counterintuitive, is a gesture of hope in the face of tragedy," she says. The museum is unique in Poland. The state is in charge of most museums, often promoting Polish heroes and ethno-nationalism. But this one is a partnership between a Jewish historical group, the City of Warsaw and the Ministry of Cultural and National Heritage. The governments provided the land and budget for the building; the Jewish group tells the story and finances the exhibitions. And this year it was named the European Museum of the Year, a first for a Polish museum. "The story was everything," Ms. Kirshenblatt-Gimblett explains. "And the story had to be a thousand years. Because in a sense, the last thing Poland needed was a Holocaust museum; the whole country is a Holocaust museum. The Holocaust had understandably overwhelmed this thousand-year history. With the three million Polish Jews who perished, the world they created vanished with them, and the memory of that world vanished. And it was a moral obligation to recover that world." Justice Abella, who is recovering her own story, says to her husband, "You feel the weight of history, don't you? We're standing on their shoulders." The Abellas and their guide meander through the eight rooms of the interactive museum. Here is a rights charter for the Jews created in the 13th century. Justice Abella, an ardent fan of the Canadian Charter of Rights and Freedoms, pauses for some time studying its provisions, such as protection for Jews from being accused of drinking the blood of Christians. And here is a reflection on the university experiences of people like her father: "Some Polish students and professors stood in solidarity with Jewish students who stood, rather than sit on the ghetto benches." Justice Abella does not know if others stood alongside her father. The period between the world wars – the time of her parents' youth – was what Ms. Kirshenblatt-Gimblett calls a "golden age" for Polish Jewry in its cultural flowering. "Before there was Jack Kerouac and his gang, there were these guys," Justice Abella says, referring to a large photo of rakish young intellectuals – her parents' contemporaries – including the poet Peretz Markish, later murdered by Stalin's henchmen; Israel Joseph Singer, brother of the future Nobel laureate for literature, Isaac Bashevis Singer; and Emanuel Ringelblum, historian of the Warsaw Ghetto, who hid diaries and other documents in milk cartons underground so the record would survive. Mr. Ringelblum turned to history only after being shut out of medicine because of Jagiellonian's numerus clausus, according to U.S. historian Natalia Aleksiun, writing in a Polish historical journal. The museum preserves the question he asked in the ghetto: "Are we to dole out spoonfuls to everyone, the result being that no one will survive? Or are we to give full measure to a few – with only a handful having enough to survive?" "You know what? It's a classic law-school ethics problem," Justice Abella says. There were 3.3 million Jews in Poland as the Second World War started; the Nazis murdered three million. Today, only 25,000 Jews remain in the country. The museum is popular. The day Justice Abella and her husband visit, a sunny Saturday in May, it is crowded with people of all ages. Her philosophy as a judge is rooted in her parents' experiences. She is a defender of human rights, of the rights of children, refugees, religious minorities, women. Appointed to the Supreme Court by prime minister Paul Martin in 2004, she's an activist judge, although she rejects the label. (Conservative judges have been activist, too, she says, in striking down laws protecting minorities.) "It's not what you stand for; it's what you stand up for," she likes to say. She has been reading Hitler's Justice: The Courts of the Third Reich by German lawyer Ingo Müller, on the complicity of German judges in the Holocaust. She says they applied the letter of the law not to be seen as "activist." She scorns critics of judicial activism. "The plea for judicial deference [to elected legislators] may be nothing more than a prescription for judicial rigor mortis," she said in a 2002 speech. The ubiquitous phrase "rule of law" annoys her: The Holocaust, apartheid and U.S. segregation unfolded according to law. She has an expansive view of the judge's role, calls the Charter of Rights the "finest manifestation" of Canadian democracy. "Of all the public institutions responsible for delivering justice, the judiciary is the only one for whom justice is the exclusive mandate," she says. "This means that, while legislatures respond of necessity to the urgings of the public, however we define it, judges, on the other hand, serve only justice." This winter, she stood up for a more inclusive approach to marginalized people in two cases. In one, she wrote a majority ruling making it easier for refugee claimants to stay in Canada on "humanitarian and compassionate" grounds; in the other, she wrote the court's unanimous ruling that requires the federal government to recognize the rights of Métis and non-status Indians, saying they have been living "in a jurisdictional wasteland." Two weeks ago, she stood up for 500,000 non-unionized federally regulated workers, writing a majority ruling that strengthened their job security. Alan Dershowitz, the famed U.S. lawyer and Harvard law professor, has known her for many years. "The Bible says, 'Justice, justice shalt thou seek.' And the commentators ask, 'Why is justice mentioned twice?' The answer that's given is, 'There is legal justice and then there is compassionate justice.' She represents them both." But some say one comes first. Now retired, John Major was on the Supreme Court when Justice Abella arrived, and offers a slight twist on the Dershowitz formula, calling her "a judge with exceptional talent who considers the human element before the legal." The day after their museum visit, the Abellas stand outside the Krakow Sheraton, waiting to board a tour bus to the former Jewish quarter. Justice Abella is wearing tortoiseshell glasses like her father's. A medieval capital located 300 kilometres south of Warsaw, Krakow is old Europe: narrow, winding streets; small, trundling streetcars; Gothic churches and medieval public squares. Ms. Kirshenblatt-Gimblett's description seems apt – the country is a Holocaust museum. The Royal Palace is 50 metres from the hotel; here, Hans Frank, the German lawyer who governed occupied Poland during the war, installed himself. Executed in 1946, he is known also for his haunting words at Nuremberg: "A thousand years will pass and the guilt of Germany will still not have been erased." Across the street is the Vistula River, winding its way west toward Oswiecim – home to the biggest Nazi death camp, Auschwitz. Justice Abella has learned that her father did not live in Jewish areas while studying at Jagiellonian. "He was fearless and independent. He could live with Jews or non-Jews, it didn't matter. He didn't need that protection." The Abellas are accompanied by a large group also in town for the Nuremberg symposium. The bus takes them to Kazimierz, the Jewish quarter named for the enlightened King Casimir the Great, who founded Jagiellonian University. "Casimir's favourite mistress was Esther," says tour guide Waclaw Wojciechowski. "He was good to the Jews." After the war, the quarter was abandoned to prostitutes and thieves until the Steven Spielberg movie Schindler's List spurred a revival, the guide says. (The real-life Oskar Schindler, a German businessman who saved Jews, had his enamelware factory in Krakow.) Lively, with outdoor cafés, the quarter is now the third-most popular tourist spot in the city. Seven synagogues still stand in Kazimierz, although most no longer offer religious ceremonies. "Surreal," Justice Abella says, as she strolls with her husband. In 1993, Irving Abella, then president of the Canadian Jewish Congress, led a group of Holocaust survivors on a walk down the streets of Kazimierz on the 50th anniversary of the Warsaw Ghetto Uprising. Suddenly, from the rear of the line, he heard screams, and rushed back to find a swarm of what appeared to be Nazis in SS uniforms. They were Polish extras from the filming of Schindler's List, and the survivors brought them back to their hotel and told them what life had truly been like for them. But as the anecdote suggests, nothing would surprise the Jews who return to Poland. "For me, Poland is one big cemetery," says Ariela Cotler, whose husband, former federal justice minister Irwin Cotler, is co-chair of the Nuremberg symposium with Mr. Dershowitz. Dorit Beinisch, a former Israeli chief justice, and close friend of Justice Abella, is here, too. Her mother left Poland in 1933 for Palestine, and three years later returned to try to bring her parents and little sister as well. Her parents, who had been refugees after the First World War, felt too exhausted for another move; Dorit's mother went back to Palestine alone. In 1942, when Dorit was born, "the last postcard was sent from her parents: 'Congratulations from the ghetto.'" Ms. Beinisch adds: "That was the end of it. The whole village went to Treblinka. It's a typical story. My mother couldn't forgive herself." The group comes to a square in the ghetto where Krakow's Jews were confined. A short, squat gallery sits at one end of the square; during the occupation, it was a German police station. Just across from the other end of the square was a pharmacy in which the Polish apothecary did everything he could to save Jewish lives, says Mr. Wojciechowski, the tour guide. The Nazis murdered between 3,000 and 4,000 Jews on the square, he says. An art installation of tall wooden chairs covers the square. "The chairs represent the emptiness of Krakow without Jews," he says. Set amid towering trees, Jagiellonian University is the oldest and most prestigious in Poland, established by King Casimir in 1364 as a centre of liberal arts, law and medicine. Its illustrious alumni include astronomer Nicolaus Copernicus and Karol Wojtyla, who became Pope John Paul II. Justice Abella poses in front of a university building while her husband takes a cellphone photo of her, then they head inside. She has a chance to hear from the voice of the university – Rector Wojciech Nowak is the opening speaker. "For 652 years, our motto is plus ratio quam vis – mind over power." He points out the paintings on the wall of Copernicus and Karol Wojtyla. (There is no painting of Emanuel Ringelblum.) "I come from a postwar generation. For me, the tragedy of the Holocaust is unthinkable. This is always a question you think about: How was it possible in the centre of Europe?" A second voice from the university belongs to Zdzislaw Mach, the UNESCO Chair for Education About the Holocaust at Jagiellonian. The university trains teachers how to tell their students about the Holocaust. The course is fully subscribed, with 100 or more teachers enrolled each summer. Poland, explains Prof. Mach, views itself in a way that excludes Jewish suffering and the country's role in causing it: "The Polish nation likes to present itself as the ultimate sufferer. In some extreme versions Poles even think of themselves as the Jesus Christ of nations." 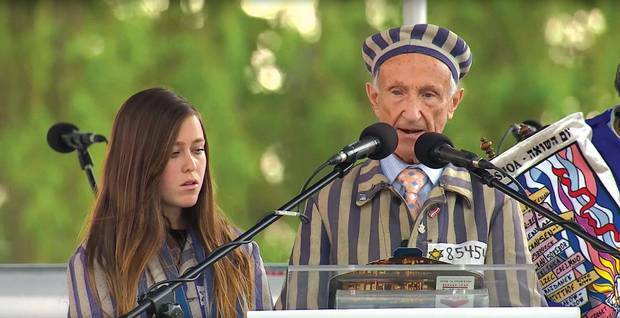 ‘Then they tried to drown me.’ Holocaust survivor Edward Mosberg, 90, tells his story in Auschwitz at the annual March for the Living, dressed in the striped clothing so associated with the German concentration camps. Soon afterward, he is at the symposium in Krakow to do the same, transfixing the audience as his lifetime of rage builds to a peak. Just before lunch, the past comes alive: Holocaust survivor Edward Mosberg appears onstage, dressed in the striped jacket and hat of the concentration-camp inmate. The slight 90-year-old builds to a peak of rage. The audience is transfixed, astonished. He holds a small black whip above his head. "Four men beat me with a whip like this! Then they tried to drown me! You don't know how many times I wished I was dead, because when you are dead they cannot hit you with this!" But he lived, he says, and he testified at war-crimes trials. Justice Abella turns to her husband. "He should have been the closing speaker." "I will always worry that 'Never again' will never become permanent." Several hours later, it is time for Justice Abella's closing speech. It is 5 p.m. and she still has not eaten lunch; she was too busy chatting during the brief break. One line stands out from her speech: "Who I am, what I am, what I believe in, and what I hope for, all started with the Holocaust." She returns to her seat beside her husband. At the time that her parents were in concentration camps, he was a small boy living in safety above his parents' restaurant, Abella's Lunch, at the corner of Queen and Spadina in Toronto, occasionally riding his tricycle, on his own, nearly a kilometre to Front Street, where he would spend hours watching the trains go by. In one of Justice Abella's many speeches – by her husband's count, she has given hundreds – she says she faced no discrimination as a Jew or a woman growing up in Canada. But in one incident three months after she joined the Supreme Court in 2004, she and her husband were at the centre of a strange, public accusation: that the entire Supreme Court had become infected with a Jewish conspiracy, and needed to recuse itself. The case involved a suspected war criminal, Léon Mugesera, who was facing deportation to be put on trial in his native Rwanda. His lawyer, Guy Bertrand of Quebec City, said he had discovered that Justice Abella was married to an official of the Canadian Jewish Congress, which had been active on Rwandan war criminals. Justice Abella had already recused herself from the case. It was Prof. Abella, with co-author Harold Troper, who exposed the myth of Canadian generosity toward desperate Jewish refugees during the Nazi years; in fact, Canada had among the worst records in the Western world. As federal immigration director F.C. Blair put it when asked how many Jews the country would take in: "None is too many." During the Vietnamese boat-people crisis in 1979, a preliminary version of their work reached immigration minister Ron Atkey. "I will not be F.C. Blair," he told cabinet, and Canada took in 50,000 Vietnamese. Following on that example, it has accepted more than 25,000 Syrian refugees in the past year. "You changed the country," Justice Abella tells him. Her life not only completes her father's story; it is a kind of sequel to her husband's book. "He married his story," she says. Rosalie Silberman Abella smiles after being sworn in as a Supreme Court Judge during a ceremony in Ottawa on Oct. 4, 2004. The morning after the Nuremberg symposium, the Abellas are in an archival room at Jagiellonian. A school official brings down a large, bound book containing records of every law student in 1930, including her father's. His record lists every course he took: Roman law, theory of law, history of Polish law, history of Western law, the "functioning of the Church," the law of war, the law of nations, and many others. There was a single exam combining all courses, and one word on how he did: "Good." "He told me it was an amazing education," she says. The entry mentions in three places – under religion, nationality and language – that he was Jewish, Justice Abella points out. But when she mentions the numerus clausus, the school official denies it existed, becomes agitated, can barely catch his breath as he pours out his views in Polish to Katarzyna du Vall, a young lawyer serving as interpreter. The official writes on a piece of paper that, in 1924, Jews made up 25 per cent of the student body. Afterward, outside the building, Justice Abella is not happy. Ms. du Vall tells her that, when the war started, the German occupiers called 182 Jagiellonian professors to a meeting. The professors assumed there were administrative issues to discuss, she says, but the Germans tricked them, and shipped them off to concentration camps. While most were eventually released, the university was closed during the war. "It didn't matter at the beginning of the war if they were Polish or Jewish," Ms. du Vall says. They move on to a law-school classroom, where, in front of six students and Ms. du Vall, the law school's vice-dean of international relations, Jerzy Pisulinski, introduces Justice Abella as "the first Jewish judge on the Supreme Court of Canada." "First Jewish female judge," she corrects him. The court's first Jewish judge was Bora Laskin (1970-84), and Canada has opened up since then. At one point, Justice Abella was one of four Jewish judges on the nine-member court. Two have since retired. She is the only one who is a child of Holocaust survivors. "I have been dreaming of the possibility of coming back to Jagiellonian law school," she tells the students. She gives an overview of her father's story, though leaving out the bench ghetto and numerus clausus. "I have been a lawyer since 1972. I have never ever spent a day regretting the decision to be a lawyer. Law is about justice. You can't have a civilized society without justice. People come to lawyers for justice, so it's a very noble profession." A freewheeling discussion follows. The students ask her questions about abortion – Poland has Europe's strictest abortion laws. They talk about Poland's constitutional crisis, which she is well aware of, and about disputes between liberal and conservative judges. "We have never had an ideological judge," Justice Abella tells them. "If you see the brain as a basket, whatever case she or he hears takes the shape of the basket." Prof. Pisulinski thanks her and says the school would like to invite her back. "Your remarkable opinions are very inspiring for us." Later, he tells her that his daughter will be attending the University of Montreal next fall. She invites him to visit her at the court in Ottawa. There is time for one final stop in Poland. Justice Abella and her husband head off to the March of the Living – a sombre event at Auschwitz – where under a warm Polish sun they march through the former camp alongside Lord Dyson and the Chief Justice of Rwanda. At last, Jacob Silberman believed, his dream was within reach. Entering Canada as a tailor's cutter, he could now return to the law. But then he learned that he could not be called to the bar because he was not a citizen. It would take five years to become a citizen; and he needed to support the family now. He explained to young Rosalie why he couldn't be a lawyer in Canada. Had the timing been different, her father could have launched a Charter challenge. Three decades later, a British subject named Mark Andrews, denied the right to become a lawyer in British Columbia because he wasn't a citizen, did just that. The barrier to her father's lifelong dream became the very first equality-rights case decided under the 1982 Charter of Rights. The Supreme Court found its answer at least partly in Justice Abella's employment-equity report. Citing her views on discrimination and equality – that equality doesn't mean treating everyone the same, but requires a knocking down of arbitrary barriers based on perceived differences – the court granted Mr. Andrews the right to be a lawyer. It was another form of completion for Jacob Silberman. Nuremberg didn't make Rosalie Abella a judge. Canada did, by denying her father the right to be a lawyer. "It's my first memory." She was just four years old. "The moment I heard the story of him being denied the right to be a lawyer was the moment I decided to become one," she told the audience at Jagiellonian. "I had no idea what it meant to be a lawyer, but it didn't matter. I was going to be whatever my father wanted to be and couldn't. Even as a young child, it felt so unfair." Her father never got to witness her achievements in law; he died of cancer at age 60, weeks before she graduated from the University of Toronto's law school at 23. "He never lived to see me revel in the life of the law." After he died, Justice Abella's mother became a real-estate agent specializing in writers and artists; Margaret Atwood made her a character in one of her novels. She lived to 92. Justice Abella's two adult children, Jacob and Zachary, following in the family tradition, became lawyers. Her trip to Poland was "life-affirming," she says afterward. "To go back, as a judge of the Supreme Court, to the place where he had started his legal career, to speak there, meet with the people, close the circle, as essentially a representative of the fact that they had survived – their spirits had survived, their values had survived, their commitment to justice had survived – it was affirming of everything they were, and wanted us to be." Sean Fine is The Globe and Mail's justice writer.